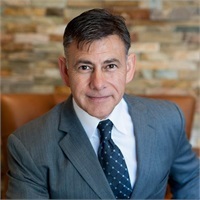 Daniel Tapia has over 26 years of experience in helping his clients with their retirement planning and investment needs. He is an Investment Adviser Representative with LPL Financial and has completed numerous industry certifications and educational programs. In 2004, Daniel founded Rembrandt Financial Group, LLC. for the purpose of aligning experience and resources in order to provide a holistic retirement planning experience for his clients. Daniel is able to provide his clients robust resources and access to advanced technology solutions. Through a disciplined process, he guides his clients in discovering their quantitative needs as well as their life goals and dreams. This forms the basis for constructing a viable, flexible, and realistic retirement plan. Ongoing monitoring of one's retirement plan ensures that clients maintain confidence in their plan and allows them to make necessary adjustments. For this reason, Daniel and his staff are committed to providing ongoing reviews and provide the opportunity for clients to be better informed and in control of their financial future. Although Daniel works with clients in both Houston and Central Texas, he, his wife Juliet, and their children make their home in West Austin.